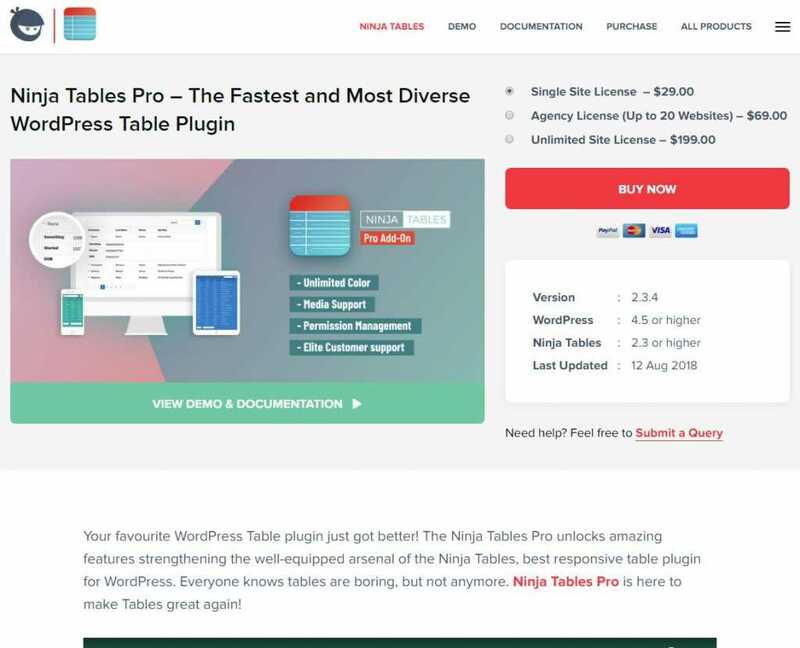 A comprehensive list of 13 Best Free Responsive WordPress Table Plugin (2019) according to 1937 users. 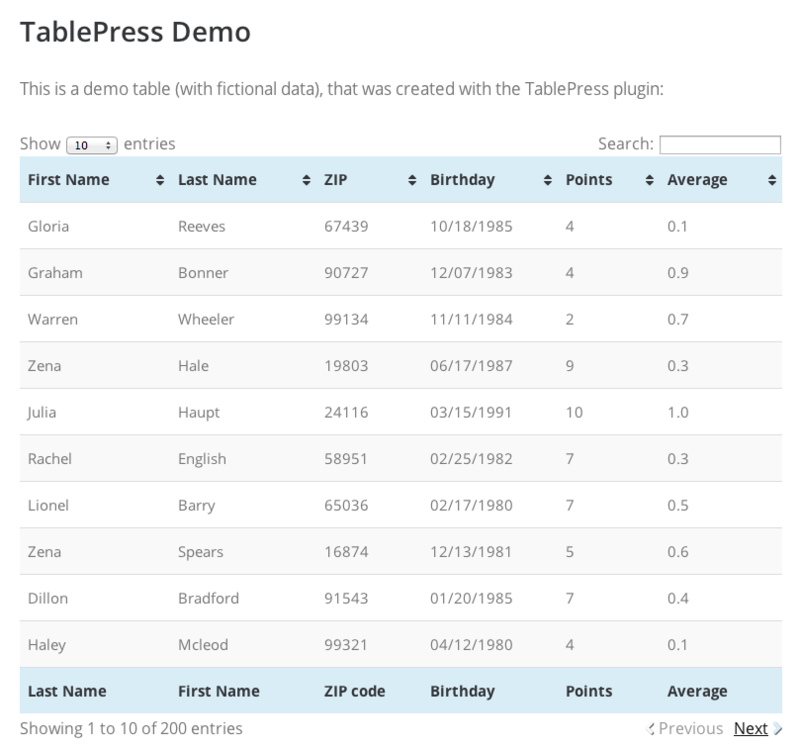 Adding a table manually in WordPress is still an option, but it is laborious, error-prone and tedious. However; There are assistive and supportive options readily available to WordPress users. You would think that being the most popular blogging platform this would come built in as standard. The table maker is enough for software reviewing and listing. Thanks for your informative post but it would be finer if Ninja Tables plugin on the 1st position. 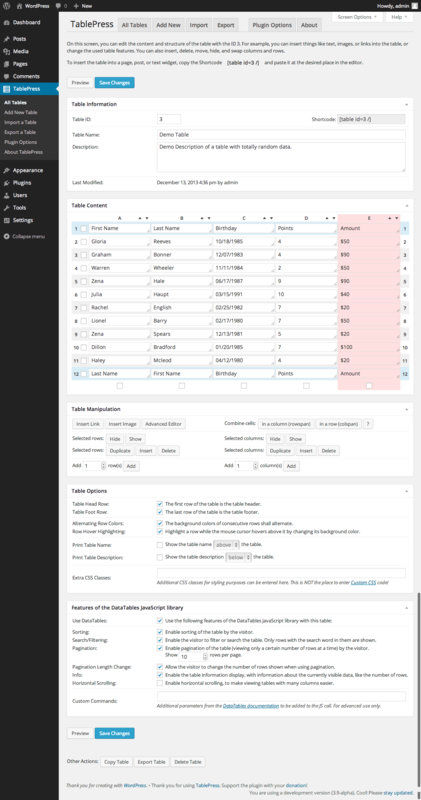 I used most of them including TablePress but found something exceptional using Ninja Tables plugin. Wellcome the order of each product is based on our community votes, reviews among many other things you can learn more here: https://www.softwarefindr.com/scoring-methodology/. We appreciate your input and urge you to vote and leave a review for Ninja Tables, I'm sure others may agree.